This award-winning two-volume biography, hailed as the definitive portrait of Lincoln, is now available in paperback. Volume I covers Lincoln’s early childhood, his experiences as a farm boy in Indiana and Illinois, his legal training, and the political ambition that led to a term in Congress in the 1840s, and the great personal transformation he experienced in the mid-1850s. In volume II, Burlingame examines Lincoln’s life during his presidency and the Civil War, narrating in fascinating detail the crisis over Fort Sumter and Lincoln’s own battles with relentless office seekers, hostile newspaper editors, and incompetent field commanders. 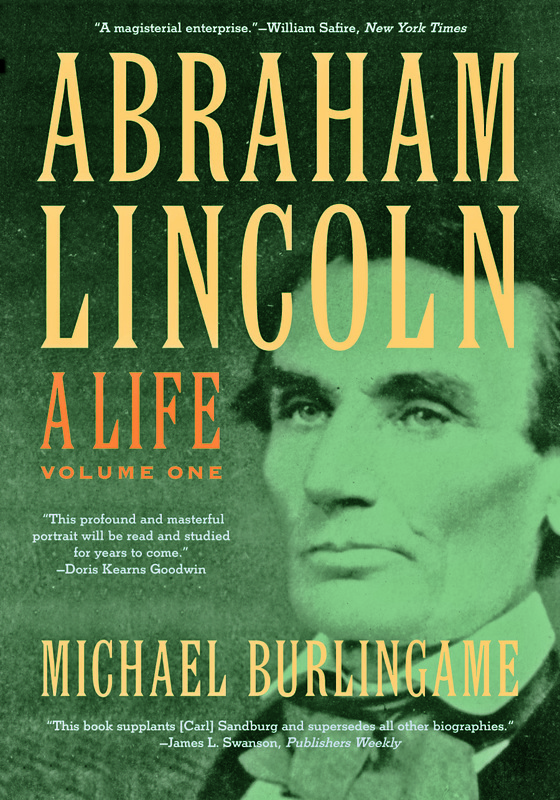 Burlingame also offers new interpretations of Lincoln’s private life, discussing his marriage to Mary Todd and the untimely deaths of two sons to disease. But through it all—his difficult childhood, his contentious political career, a fratricidal war, and tragic personal losses—Lincoln preserved a keen sense of humor and acquired a psychological maturity that proved to be the North’s most valuable asset in winning the Civil War. Michael Burlingame is Chancellor Naomi B. Lynn Distinguished Chair in Lincoln Studies at the University of Illinois Springfield. He is the author or editor of several books about Lincoln, including Lincoln Observed: Civil War Dispatches of Noah Brooks, published by Johns Hopkins, and The Inner World of Abraham Lincoln.